Dry Bounce House Combo - "Titan Dual Lane"
Here it is! Our newest combo has DUAL LANES! 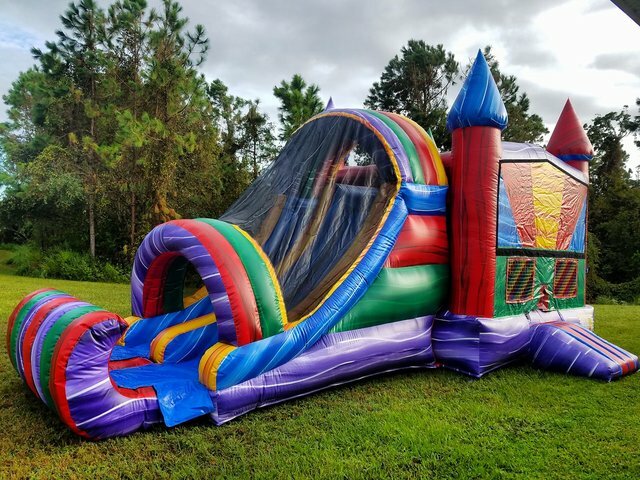 Includes a bouncing area, basketball hoop inside and a mini climbing wall that leads into an awesome DUAL LANE dry slide! "Titan" combo bounce house offers bright, vibrant MARBLE generic colors to excite all of the party goer's. Perfect for backyard birthday parties, Fall Festivals, Spring Flings and any other event that requires children entertainment! This unit can also be used as a water slide <<<< Click there for more Water Slide options as well as this one! Perfect for ages 3 & up.